Once again, this winter, boots are on a roll ! 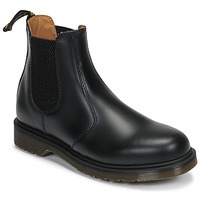 City dwellers can get this classic genre, not to be missed at Dr. Martens. Leather, flexibility and lightness: everyone will want their own ! Model w/out steel toe/ Buttero leather: very supple full grain leather with a smooth and slightly shiny look. This leather offers very soft and satiny hues.